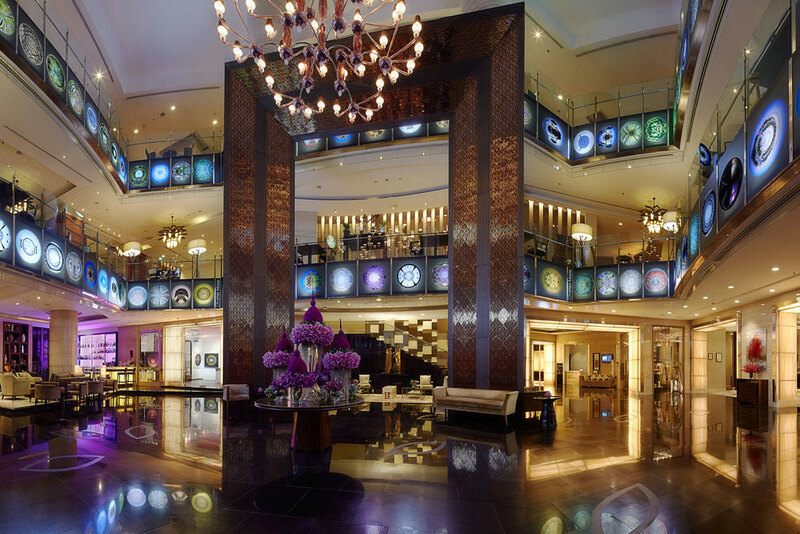 Located on Sukhumvit road, Sofitel Bangkok is a five-star, luxurious and a ‘flamboyant’ hotel. Sofitel offers a 23 m outdoor pool, a 24-hour gym and pampering spa treatments with L’Occitane amenities. Providing free Wi-Fi, the hotel also has 24-hour room service and free parking. You can also enjoy the panoramic view of the city through floor to ceiling windows. The air-conditioned rooms also have a smart TV with International Channels and a Bose sound system, a personal safe, a mini bar, Bathrooms with bathtub, separate shower and luxury toilets. For your comfort, Asoke and BTS skytrain stations are only 500 meters away from Sofitel. It takes only a 10-minute-walk to reach the Terminal 21 shopping center and a 15-minutes drive to Emporium department stores and Benjamin Park. Suvarnabhumi International Airport is just 25 km away. The hotel further provides a business center, laundry services and ‘religious amenities’ including prayer mats and a Qibla compass. In Hotel, there is a beautiful Le Macaron that serves hand-made chocolates, fruit brioches, and other French pastries. The stunning roof-top L’appart French restaurant offers a champagne lounge, outdoor terrace, and a beautiful panoramic city view. Guests can enjoy cocktails and beverages at Le Bar de I’Hôtel. 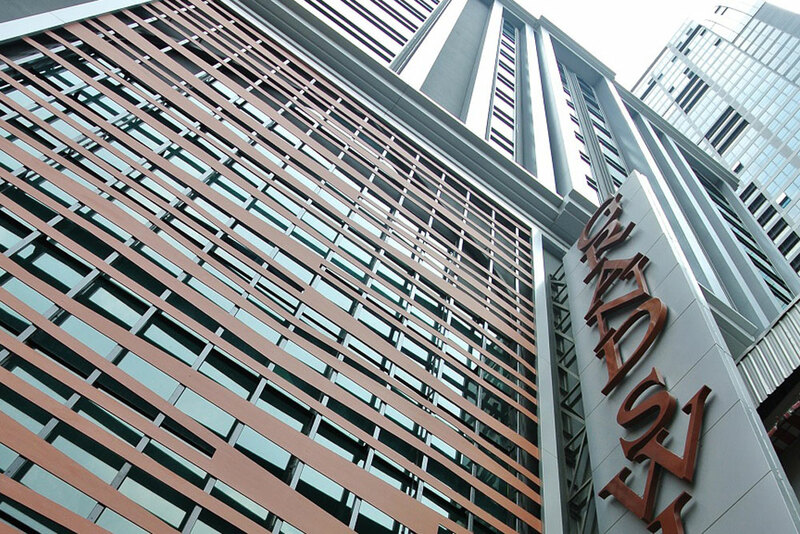 With the Nana BTS Skytrain Station at its doorstep, the Landmark offers accommodation with Bangkok city views. It boasts 9 dining options and a 4-storey shopping arcade. Free Wi-Fi is available in public areas; equipped with internet access, modern air-conditioned rooms at Landmark Bangkok feature large windows and a TV with satellite channels. A mini bar and a safety deposit box are included, along with 24-hour room service. Guests can exercise in the fitness center, swim in the outdoor pool or play a game of squash. The Landmark Bangkok’s business center opens from 06:00-24:00. A wide array of dining options can be found at Landmark, such as Rib Room & Bar and Greenhouse – a 24-hour bistro. Chinese, Thai and Western dishes are offered at the hotel’s other restaurants. In addition to bars, a bakery and a café are also available. 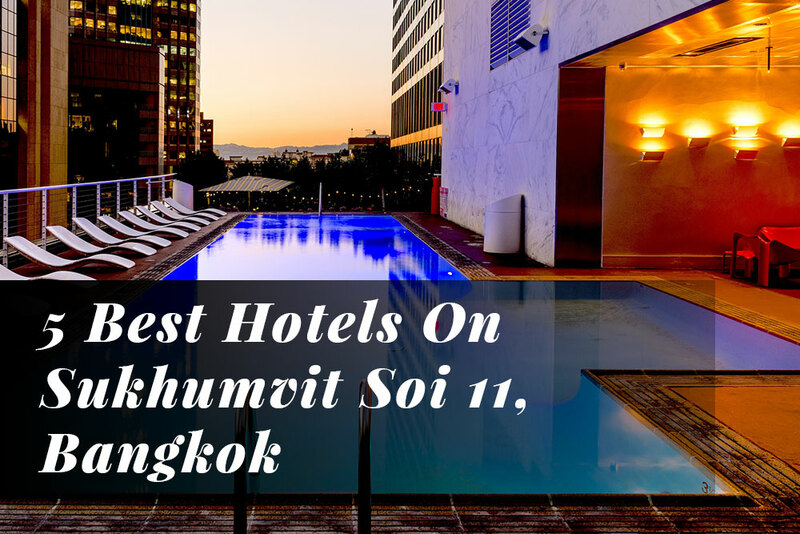 Situated just at the beginning of Sukhumvit Soi 11, this 4- star hotel is one of the most popular choices when you are looking for both quality of services and location. In addition, if you are a complete shopping buff, then no other place would suit you better, as this hotel is just a few minutes away from The Emporium shopping mall and Central World shopping mall, which are perhaps the best shopping centers in the city. With as many as 144 lavish guestrooms and suites, finding a room here shouldn’t be much difficult! Located at Sukhumvit Soi 11 in Bangkok, Le Fenix is a grand, marvelous, cozy place that cares for your comfort. Major shopping and entertainment facilities are on within easy walk from the hotel. This Sukhumvit Hotel is located just beside Levels Club, Oskars Restaurant & Bar, and offers easy access to Bumrungrad International Hospital. Popular shopping malls- Central Embassy, Siam Paragon, CentralWorld, and MBK – are easily reachable via the BTS sky train. Featuring 147 cozy and comfortable rooms with contemporary furnishings, Le Fenix is the perfect choice for your holiday or business trip. However, apart from the hotel, there are some neighboring outlets like the Apoteka GastroPub that are a must-visit, no matter how short or long your stay is. At Apoteka, not only can you enjoy different cuisines, you can also get to hear a number of mesmerizing songs. When it comes to music, the Gastropub stands out of the league as this one-of-a-kind place on the Sukhumvit 11 allows a different local band to perform each night. Think about any brand of wine or beer and you are bound to find it on the bar’s menu. Cocktails like “Ambien” and “Melon-Cholly hill” are exclusive to Apoteka, thus adding another trait which separates it from other ‘commonplace’ bars & pubs in the city. 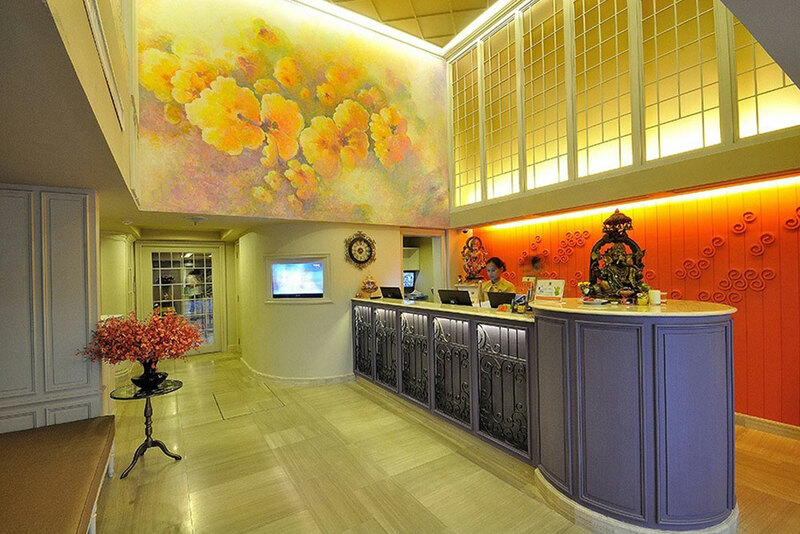 If you are looking for a conveniently located hotel in Bangkok, look no further than Salil Hotel Sukhumvit Soi 11. The hotel lies 3 km from the city center and provides accessibility to important town facilities. For sightseeing options and local attractions, one need not look far as the hotel enjoys close proximity to Best Tailor, Patrick & Co, Nick’s International Boutique House.  Salil hotel does everything to make its guests feel comfortable. Besides, the hotel’s host of recreational offerings ensures you have plenty to do during your stay. Bangkok is full of recreation and hotels, bars and restaurants. ‘Hybrid’ crowd on the streets, amazing Thai festivals and cuisines make the city one of the most visited places in the world. So take some time out of your ‘busy’ schedule and tour this ‘Venice of the east’, Bangkok. Cheers!